Grand Prix weekend saw us travel to Hinton in the Hedges (yes, thank you league fixture secretary, another game for us to have to travel past Silverstone on race weekend) to take on the side just below us in the league. Fielding a weakened team without Lee, Mark and Ash could somebody else step up to get the runs and wickets? Upon arrival the wicket was covered with a patchwork of duvet sized tarpaulins and the light drizzle meant both sides were looking to bowl first. The coin flew and Pinners called correctly again, inserting the home side. In the next 40 overs, what was to transpire, was some of the worst fielding we have ever managed – with a total of 9 dropped catches, we must have been close to setting some sort of dismal record? Pinny and Day (the younger) opened up – fairly successfully in truth, though not for much reward, Withers (their man) managed to turn almost everything (even stuff well outside off stump) around the corner for a single and with some lacklustre fielding managed to sneak the odd 2 here and there. Pinny got Lynham to plop a catch to Tiger Tone, but for all the plays and misses, nothing else came along. Justin tried his very best to get into a fight with their square leg umpire – accusing him of not paying attention to the game and missing short runs – something the umpire took a particular aversion to. There’s a time and a place Boyc’s – perhaps not shouting it out across the field would be a good idea next time? Holmes and Adams came on in the 16th with the score on 46 (for 1)and got a little bit of tap, with the score advancing to 73 off 21.2 before the No.3 holed out to Justin for 23 quickly made runs. From there the game meandered somewhat, and despite Craig (or was it Ricki – more on that later) taking 3 in one over, Hinton managed to pick up runs fairly easily, losing the occasional wicket. With mis-fields, drops, and a whole host of extras (8B, 7LB, 12W, 1 NB – 28 in total) could the batting make up for the bowling? So, to tea, Grange park needing 163 for the win. Pinny gave Ben and Craig the honours again after last week’s unbeaten effort against Marston, but unfortunately they were both beaten this week – Ben “it didn’t get up” Young fell for 5 and Craig plopped one to the fielder for 14. Boyc’s came and went for 2 (not before starting another shouting match with the point fielder) and Pinny lofted the ball to mid-on for a disappointing 5. 32 for 4 off 14, hardly the start we were looking for. That brought Young Rusty and the Old Dog – Mr P to the crease and what followed was a fabulous partnership. With the occasional lusty blow from both and some intelligent and considered shot making (and good running) they advanced the score to 99 (off 31) before Mr P fell to a tame Caught and Bowled for a very well made 45. Rusty followed shortly after for 28 – and upon getting bowled did his best to emulate Brett Lee at the end of the Ashes Test in 2005 (bet you don’t even remember that do you Jonny?). With GP on 118 for 6 (off 35) it was left to Matt and Simon to see us home, they couldn’t, Matt fell for a hard fought 8 and Simon for 4, bringing Tony and Josh to the centre – Day the Younger plundered 13* with one enormous 6 but struggled to keep/get the strike as Tony’s array of shots left him high and dry on 1* – GP ending the innings on 136 for 9. When you think back to the 28 extras – 9 drops – and probably 5-10 runs we miss-fielded we were well within reach of winning this game, unfortunately we did our best to lose it. 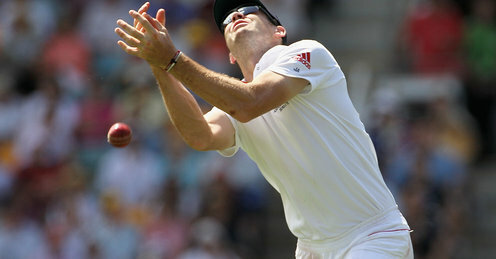 More fielding practice needed boys! With GP having won just 1 of their last 6 games it might be time for a bit of a shake up! Dot’s play of the game- Either Old Father Time’s (Craig’s) 6-34 – welcome back – or the partnership between Mt P and Jonny – It was great to see Young Mr Rust come of age and bat sensibly – shame he couldn’t see us home . Dot’s ‘other’ play of the game – With things going nowhere and Craig getting a little bit of tap the Skipper told Ricki to come on and bowl – Craig denied he had ever heard the call to go out to pasture and proceeded to pick up 3 wickets in what should have been Ricki’s first over – Skipper pay attention and take him off before he does that again! Dot’s did you know…- Catches win Matches?